Being a gardener you may always be busy with your plants and looking after those. Well, it may be a great concern nowadays growing plants as climate is changing because of the effective light hour, heat intensity, moisture is being affected. And that’s why the photosynthetic activity of plants maybe not as expected. So these are the reasons you should use LED grow lights. LED grow lights are environmentally friendly first of all and the foremost advantage. Quick start, low power, no flash are the advantages which save energy. So now energy is secured. Again if using LED grow lights then the photosynthetic effect of plants will increase, the growth rate of plants will increase when regular lights can’t do that. For example, spinach and radishes’ growth will be increased as well as there will be the improvement of the morphological index. These can save up to 73%of energy when parking lot lamps need to work long hours. Again if your country is in winter dominating region, then LED grow lights are very effective. Obviously, there are many more advantages of using it. So here I am with you to discuss how to use LED grow lights and other various sides of it. Stay here with me if you are facing those problems or want to know about it. What is LED Grow Lights? Without knowing what LED grow light is, you can’t implement the idea of using it. So LED grow lights are the mass produced lamp. They are the power and space saving grow lights. LEDs have several applications. At first, these were used as indicator lights on the field of electronics but now they have a larger role in the world. Before the advanced condition like now, LED lamps had only the application of supplementary lighting. A grower may use HID grow light but for more power, he or she needs to use LED grow lights if the plant needs extra light. With the improvement of LED, larger LED panel can supply light to the entire grow room. When other lighting systems need large ballast as well as cooling system, LEDs are free of it. You can hang a panel of circular or square or any other shape above plants. There was the claim that plants can’t grow in LED lights. But now this view has changed with the improvement in this field and with the discovery of blue LEDs. For plants, there are particular wavelengths of lights which are necessary for photosynthesis and growth. Within the photosynthetically active radiation (PAR) range some wavelength of lights raise the grow of the vegetation or flower, and some of those hinder the growth of some plants. Scientific experiments determined that red and blue wavelengths are the most important one. Shop light or lamp of LED for human lighting don’t emphasize on blue and reds which are essential for growing plants. These have the particularity for human vision. The increase of wattage decreases LED efficiency because of the increase of the temperature in the electronic circuit board. So when the manufacturer of LED grow light claiming Watts as the measure of ability to grow plants then it’s suspicious. So you need to have much knowledge of Watts and PAR and must depend on manufacturers’ information. You can take measurements of light sources from different distances if you could access in a light meter. Then you will find that with the increase of the distance between the light source and light meter, light intensity drops. You can understand the relationship between the physical law between light intensity and the distance from the source. 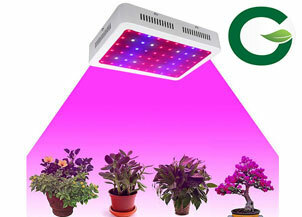 The manufacturer could set the position of the grow light high above the vegetation and lighting a large footprint, then the output will be greater than if the LED grows light is designed to put close to the plants. The light intensity will be lower at the edge. Leaf tissue can touch well-designed LEDs because these run cool enough so no tissues don’t encounter any harm. Therefore you can keep these lights close to the plants. Although, the light intensity is has a limiting point because too much of it burns plant tissue. The diode should be manufactured with some specifications to emit actual wavelength. Reputable manufacturers use a sophisticated process that the diode they are producing will emit correct light wavelength. Besides, there are some other manufacturers who produce cheap LEDs to attract the shoppers who are budget conscious. Cheap LEDs may not emit particular necessary wavelength for plants and also light intensity may be different. The customer should be aware of these facts. The quality of LEDs depends on the lens attached to it. The light lens affect footprint and outputs. If it does not provide wanted footprints and proper intensity then the plants’ health will be not up to the mark. And that’s how you measure the quality. It’s the major advantage of LED grow lights. These have extended lifetime of 50.000 to 100.000 hours which means the continuous use of five years or more. Before buying one check the specifications of that model and buy which has at least lifetime of 50.000 hours. Energy use of these lights is low than the normal ones. Most unique about LED grow lights are they warning before losing power. At maximum lifespan, some chips will be dark and some will emit less bright light. So you have time for the replacement. Some models are provided with the facility to change an individual chip. You can use LED grow lights in any possible way for which you won’t stop applauding. You can utilize these lights. All the gardeners prefer LEDs for this reason. Place light bulbs and panels close to the plants that they can have maximum light. Normal plant light emits heat more than the light. Definitely, both are crucial for growing a plant but in a proportional limit. 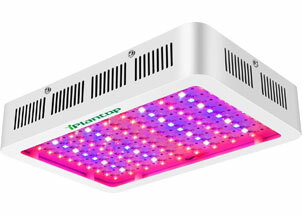 LED grow light provides you a balanced proportion of heat and light. Because they are designed in such a way so that they can provide more light as well as less or optimum heat. In this regard, you should know that excess heat affects plant growth. Plants’ growth will be in speed when they are provided with optimum light. Adjusting the duration of daylight increases the growth even more. The results are remarkable in the field of horticulture. As the LED grow lights don’t need ballast, this makes them lighter than the normal grow lighting system. You can fit these into normal light fittings and you won’t face any issues because of that. Since LEDs have their own reflectors so don’t need extra reflectors. When you are growing plants in the home or outside following greenhouse technique then you need to check and control the conditions. In research, we see that, when plants have specific wavelengths of light, they absorb maximum chlorophyll, 400-500 nm, and 600-700 nm is the range. And LED lights are capable of meeting the range. 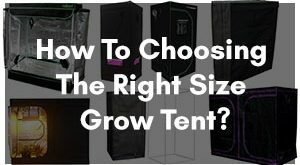 Pro Advice: For getting best results, you can use LED grow light with one of our most suggested grow tent. Also, Read this articles https://gardenersyards.com/building-perfect-indoor-grow-room/ to know 10 Steps to Building the Perfect Indoor Grow Room. Adjust the height of the light as they are hung above the plants. Early vegetative stage – fit the light approximately 300mm above the plant. Thus it ensures the lowest inter-nodal length and provides inter-nodes. Vegetative stage – now increases the distance between light and plants, that may be between 300-600 mm. plants which have a lot of leaves need the light to be lower so the light can reach the lower branches of those plants. Also if your plant needs higher light levels then keep the LEDs 300 mm above, and if need lower light levels then keep the LEDs 600 mm above. Flowering, budding stage – here also you can maintain a height of 300-600 mm from the canopy. But 400 mm is the favorable height above the canopy. Alter your watering. If you newly start with the LED then watering may cause some problem. Watering guides mostly are based on HPS lighting. In this process, evaporation occurs, that’s why watering is necessary. But watering or feeding is not the issues when it comes to LED grow lights. So watering may cause danger to the plants. Then feeding the plants is necessary. But it can’t be as you want. There has a specification of feeding in presence of LED grow lights. You need to feed your plants 30% of HPS lighting feeding. 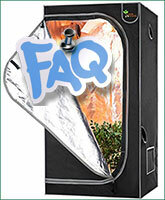 Add Cal-Mag when your plants are growing under LED lighting. In a hydroponic system, evaporation has reduced so you must provide less topping of the nutrient. In winter, you need to supply additional heat in the room. It will boost the growth of the plants. Heat in the growing area is much less than that of HPS lighting. So in winter, this may cause some problem, so you should keep an eye on the plants if you are using LED grow lights. LED grow lights can create targeted light output. It is possible by using optics. So you can spotlight a particular section of the grow and thus you can repeat for each section. Plants will be under conservation if you implement multiple sections. It will maximize light distribution and you can save money. A qualified light company can help you and if you ask they will plan everything. The life cycle is the crucial one for crop’s biological life. Growers can manipulate it by increasing or decreasing light hours. Greenhouse growers can do this by using blackout curtains and extra lighting. In vegetative stage, 18 hours daylight per day is necessary for flowers. Vegetative crops will grow well at 17-18 hours light per day. Sufficient light level for flowering is 400 and 700 uMoles/m-2s. The light should be distributed evenly over the canopy. As LED grow lights’ lighting is directional, so keep an eye on it. Light closer than 10” can cause bleaching. SOG and SCROG techniques will help to develop flowering canopy depth between 12”-16” and light will reach to all the sites. Prune by the end of week two if any flower is lower than this level. By week four, remove all large fan leaves so light can reach. It is important to ensure that the light access consistent. 78F is the most appreciated optimal temperature for any type of plant, then the carbon dioxide level should be 360 PPM. You should monitor root zone temperature. Air temperature higher than 85F needs cooler dark period air temperature. As the temperature has become higher, nutrient concentration gets higher in the drier regions. It can create toxic levels at the root zone. So, reduce 25-30% nutrient concentration. Wear eye protection when working with equipment in a greenhouse. Because some of those light can emit UV radiation. Protect your skin when working in the LED grow light for any duration of time. If the surface got too much hot then increase the distance between LED light and surface. For low wattage system, 2 to 3 feet difference between lights and top of the plants is alright. High wattage system needs 4 to 6 feet. Keep cords and fixtures away from the irrigation system. When you prefer to use fluorescent bulbs, select grow light bulbs which don’t have any toxic coatings. So chemical hazard will not happen because of the breakage. Install the lights properly with the protective lens to minimize the danger of toxic material like mercury. Q: Should you keep the lights ON all the time? A: It depends on the growing stage. During the vegetative stage, 24 hours lighting won’t cause a problem. But during flowering or fruiting stage, 12 hours of lighting will be fine. Q: Will regular LED lights give the same results? A: Yes, but it’s not a wise decision. After the good soil, the quality of lights will be the biggest investment. Q: Could you invest in dimmable lights to adjust light spectrum? A: Adjusting the height will not necessary in the case of dimmable lights which is the main purpose of using it. Veg dimmer and bloom dimmer are included in dimmable series. Growing plants are a great job nowadays when the climate is changing. So you can contribute to keeping the climate protected by keeping the environment greener. Therefore, knowing the overall about growing is so much necessary. Also, the light intensity may come to a change than before at a particular season. So plants or crops you were producing before have to go through the change, and the production will hamper. Keeping all these in mind, LED grow light investing is the best option. Well, people may not use it wisely but surely in near future it will be the most used one. If you go through the article then you know why that is. With so many advantages you won’t find another one. Using LEDs can save you money and strength. So if you are a grower then it is high time you invented on LED grow lights. 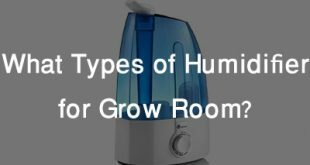 What Types of Humidifier Are Best for Indoor Grow Room? 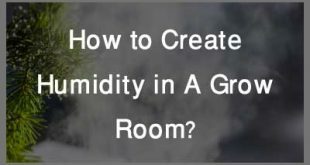 How to Create Humidity in A Grow Room? 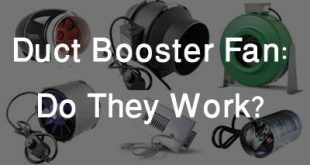 Duct Booster Fan: Do They Really Work? At first thanks a lot to Willie Miller for sharing such an informative special tips for a beginner gardeners and I have pleased to get this blog page. I am new at this circumstance. I love to garden in my free time. I have read your valuable article and gotten much information but I have a little question that what is the best time to water my plants? Could you please suggest me? Then I will be benefited. Anyway, I will save your website and I will share it with my friends. I hope they will be benefited by this special tip. For the most part, early mornings are perfect for water plants. it gives enough time for the water to run down into the soil and moisten it enough for the entire plant to get water. The watering first thing in the morning is usually the best time. The plants will be able to absorb the water before it gets too hot. If you water late in the day or at night and the leaves do not have time to dry, this can make fungus and disease. Thanks a lot for your valuable suggestion. Now, I am clear about this matter. Thanks again Willie Miller…….. It is cool with the guide. I have personal blog with similar niche. Just checking to see if you want to allow me re-post this with referrence link. I would love to share with my readers about this great article.